For all the time and effort colorists put into them, finished coloring pages, drawings and doodles have a way of piling up in drawers and dusty corners. We don’t know about you, but we’re always looking for ways to turn our favorite project into something a little more permanent. Try these gorgeous ways to display the art you’re proudest of. When you’re done, you can give them as thoughtful gifts or save them for home décor. Similar to the above craft, all you need to decorate a glass plate is your artwork, scissors and some craft-friendly sealant/fixative (Modge Podge is our go-to). Simply select your favorite drawing, carefully cut it out, and then seal it to the bottom of the plate! 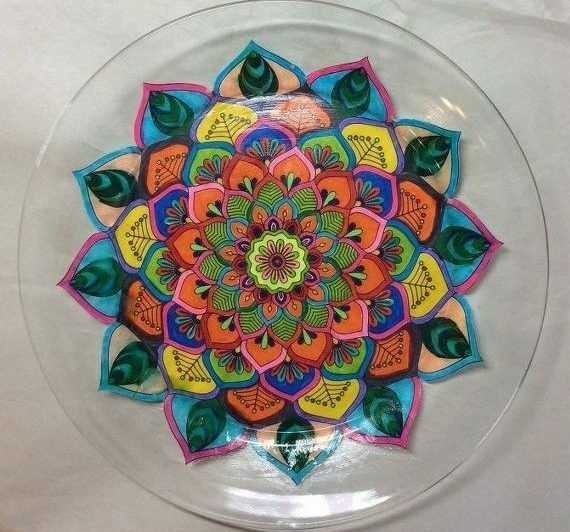 Mandalas work well because of their inherently circular design, but anything goes when you’re getting creative! You can find complete instructions on how to make this craft here. If you make one, let us know how it goes on our Facebook page—we’d love to see the final project! Unless you’re a top-notch embroiderer or are versed in high-level clothes dying, these next projects will require the added step of digitizing your drawing. It’s admittedly not as easy as cutting and gluing. That said, once you get your magnum opus on the computer, you can forever use the file for custom designs! Whether you use a local print shop or a web service like Shutterfly or Society6, you’ll have plenty of choices on how to immortalize your artwork. Now you can strut your artistic stuff whenever you’re sipping on coffee or tea. (Heck, we like showing off so much that we’ve taken to drinking water out of our mugs.) Use your digitized file at a local printer who offers mug printing, or an online service. The aforementioned Shutterfly and Society6 will work, though it might be worth scouring the internet for more affordable options. Perhaps the only thing we use more often than our coffee mug is our phone. (Well, barring gel pens of course!) It still takes us by surprise when a random passerby compliments our phone case as we’re mindlessly browsing Zentangle patterns and blending techniques. It always leave us with a big smile—it will do the same for you! Search Google for “custom blank phone cases,” replacing “blank” with your phone type! The newer and smarter your phone, the more options you’ll have! 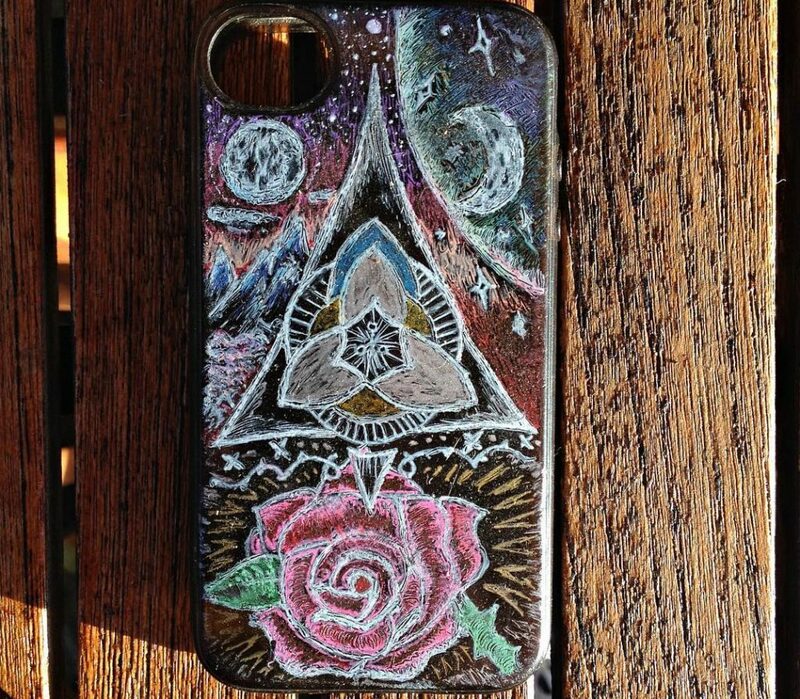 Super secret tip: depending on the material it’s made of, you can actually draw right on the back of some phone cases! Sure, you won’t be able to recycle your favorite coloring page, but you can try to copy it or just doodle away. After the ink has dried, apply a clear fixative to seal and protect your design. Check out this case decorated by a GelWriter fan (full picture here)! We hope you’ve got a couple new ideas for turning your coloring archives into great gifts and decor! If you take on any of these projects, we’d love to see the finished product—share it with us on our Facebook page, or tag us on Instagram with @gelwriter or #gelwriter!